« Mariachis, Margaritas and More! Ready to brighten up your wardrobe and home for summer? Diane Powers’ Bazaar del Mundo Shops in Old Town are bringing together a dozen local artists and vendors for its “Mercado del Sol” event on July 8, 10 a.m. to 7 p.m. 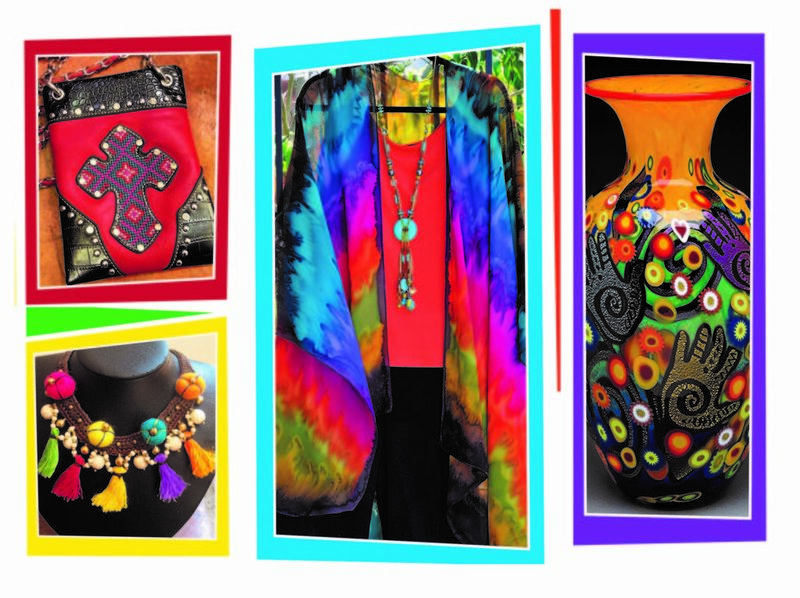 Shoppers are invited to explore vibrant collections of handcrafted jewelry, clothing, fashion accessories, home décor and gifts as the artists describe their inspiration and techniques for creating their colorful wares. Delicious summer treats, such as virgin margaritas and Mexican fruit cups, will also be for sale to help guests keep cool in the San Diego sun. To join the festivities, visit the Bazaar del Mundo Shops at the north entrance to Old Town on the corner of Juan and Taylor. This entry was posted by The Bazaar del Mundo on June 21, 2017 at 4:58 pm, and is filed under Events. Follow any responses to this post through RSS 2.0. You can leave a response or trackback from your own site.